A-1 Self Storage offers a full line of boxes and moving supplies for your one-stop shopping convenience. We carry a wide variety of box sizes including specialty boxes and kits to protect your dishes, glassware, clothing, draperies, and comforters. 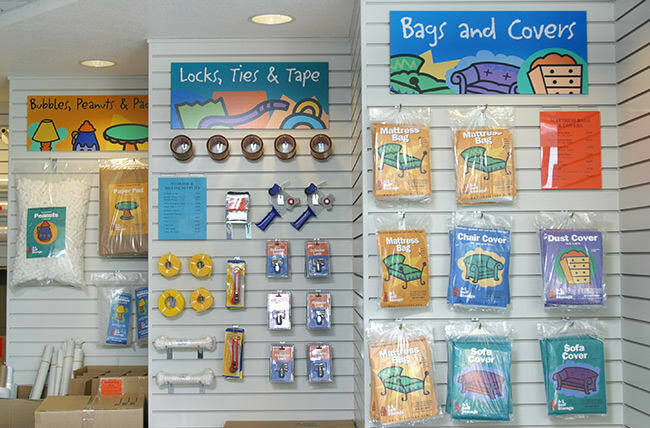 We also carry tape, bubble wrap, packing peanuts and more to provide added protection. Once you get all the moving supplies you need, use these helpful tips on packing and storing. Pack and Stack Carefully. Minimize the amount of space you’ll need by packing and stacking your boxes carefully. This will help prevent damage to your items, and help reduce the amount of storage space you need. Be Strategic in Placement. Place your frequently used items near the door, and valuables in the rear of your storage unit. Take Special Care with Heavy Items. For heavier items, pack in small boxes to make them easier to carry. Placing them at the bottom of stacks will also help prevent any damage to your items. Ask Us! Our A-1 Self Storage Associates are a great resource for expert advice on packing, moving & storing. We are here to help!